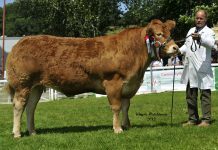 Breeders’ participation in The British Limousin Cattle Society’s Herd Health Initiative has continued to grow with 150 herds, representing 5,161 pedigree Limousin calves, having registered for the financially incentivised initiative. This represents an increase on the year of 22 herds and a further 588 calves. At the end of the final year of what is initially a four year commitment by the BLCS, this represents a further growth in uptake of 13%. 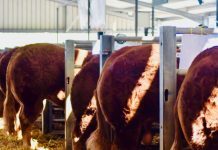 This means that of the 18,240 pedigree calves registered with the Society last year, a very encouraging 28% are from herds operating within industry-licenced health schemes. 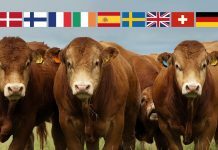 The British Limousin Herd Health Initiative offers financial support to breeders who are making a long term investment into herd health assurance through being a member of a Cattle Health Certification Standards (CHeCS) approved scheme. Herds within a CHeCS scheme are able to make a claim each year based on the numbers of pedigree calves they have registered in the preceding twelve month period. 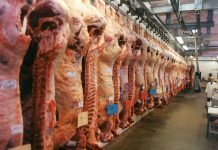 To receive the financial support, herds need to adhere to the terms of a CHeCS licenced scheme and have an approved animal health scheme in place through either Biobest Herdcare, SAC Premium Cattle Health Scheme, HI Health, Advance Cattle Health Scheme, NML Herdwise or the AFBI Cattle Health Scheme. This must include a whole herd test for Johne’s disease. 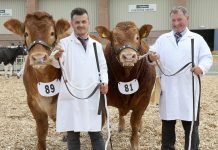 As a result of the increased uptake, The British Limousin Cattle Society will pay out over £10,000 to participating herds for 2008.